The meaning of Louam is 'Sleep well.' The name Louam comes from the Ethiopian origin and is primaril.. The meaning of Maharene is 'Forgive us.' The name Maharene comes from the Ethiopian origin and is pr.. The meaning of Makeda is 'Beautiful.' The name Makeda comes from the Ethiopian origin and is primari.. The meaning of Melesse is 'Eternal.' 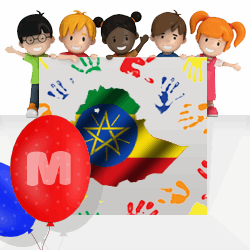 The name Melesse comes from the Ethiopian origin and is primari.. The meaning of Seble is 'Autumn.' The name Seble comes from the Ethiopian origin and is primarily gi.. The meaning of Selam is 'Peaceful.' The name Selam comes from the Ethiopian origin and is primarily .. The meaning of Zena is 'News.' The name Zena comes from the Ethiopian origin and is primarily given .. The meaning of Desta is 'Happiness.' 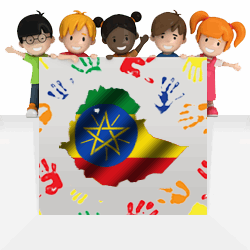 The name Desta comes from the Ethiopian origin and is a name gi..